It’s tough to choose favorites, because so many things at Trader Joe’s are so damn good. But our pick of the moment? 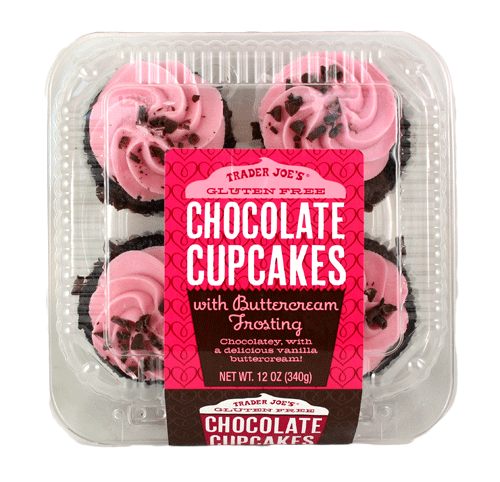 Trader Joe’s Gluten-Free Cupcakes. In a word, yum. 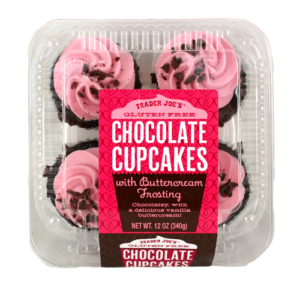 In multiple words, these cupcakes, a recent Fearless Flyer feature, are the type of melt-in-your-mouth chocolaty goodness that even the biggest gluten fans will quickly get addicted to. They taste like they could be in a fancy local bakery, and at $3.99 for a 4-pack at most Trader Joe’s locations, you’re getting a great deal too.